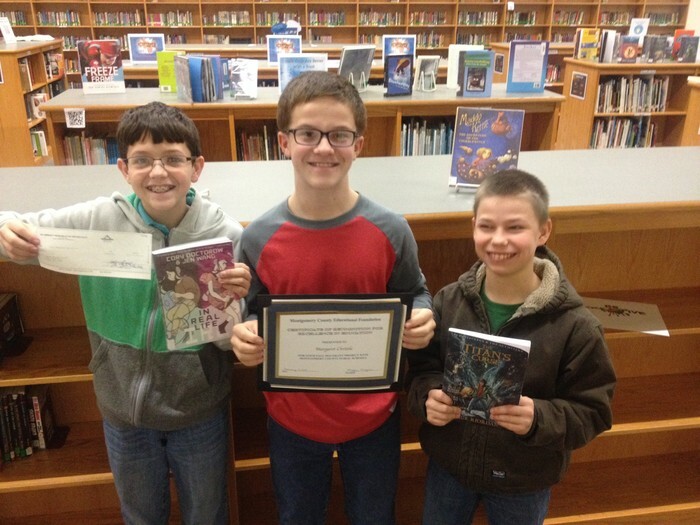 Graphic Novels Promote Reading at AMS! 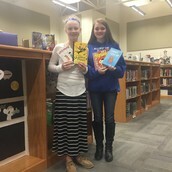 MCEF provided the AMS Library with funding to create an engaging Graphic Novel section that included the opportunity for students to create artwork inspired by this literature. 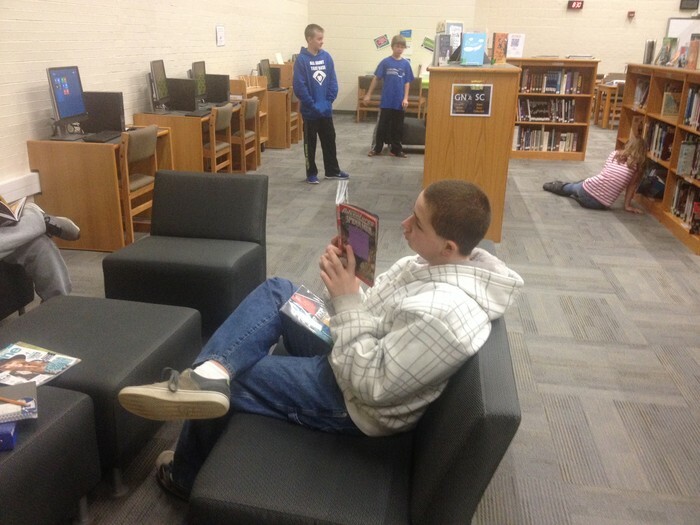 The purpose of the grant was to promote literacy and independent reading for all students at AMS, especially those designated as reluctant or non-readers. During the winter of 2015, the AMS Library purchased the new graphic novels and students eagerly began reading them. (See Circulation Statistics below). In April, we held the successful Unveiling Reception. 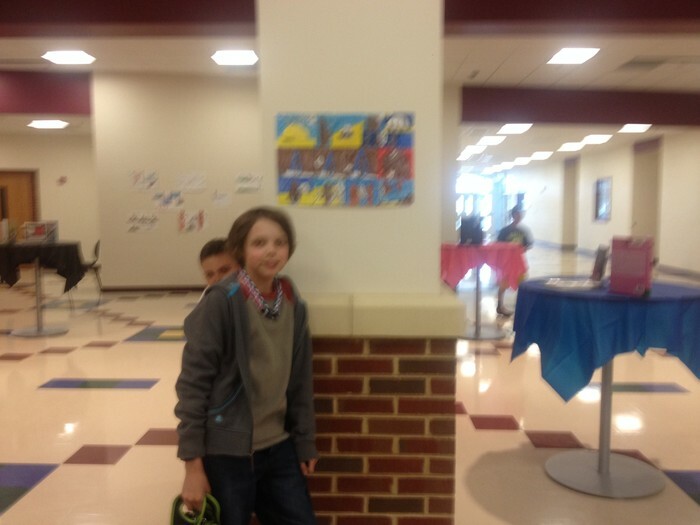 Much of the artwork from the reception is still displayed in the Library today, with students continuing to add to it. 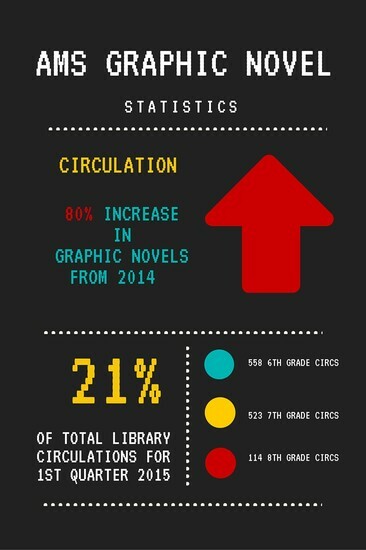 The new Graphic Novel collection has made a huge impact on our students and teachers. It is the fastest growing and most in-demand section of the Library. In a teacher survey, 100% of responding teachers have used or plan to use graphic novels in their curriculum. 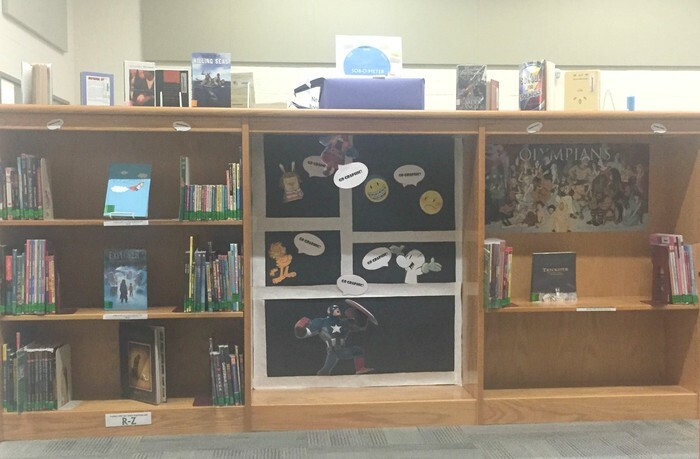 Additionally, all the respondents have observed that the inclusion of graphic novels in our Library has positively influenced the reading culture in our building. 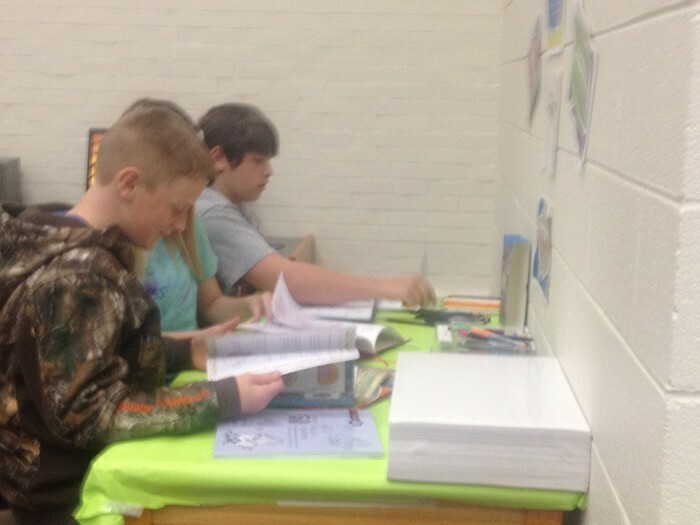 Additionally, over half of the teachers responding have observed reluctant and non-readers reading graphic novels. 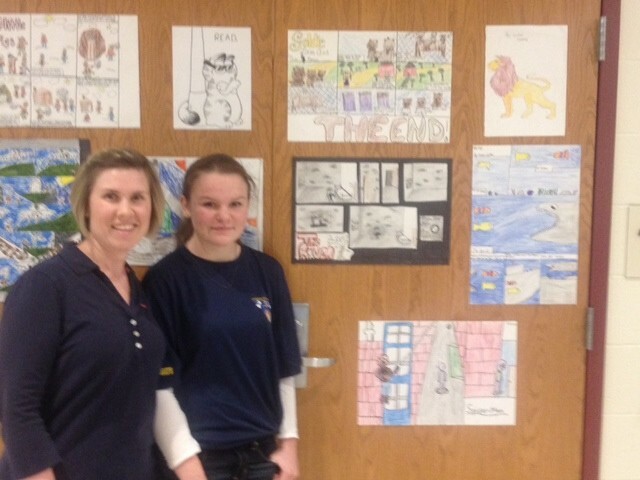 As students finished reading our new graphic novels, they were encouraged to create artwork inspired by their reading. 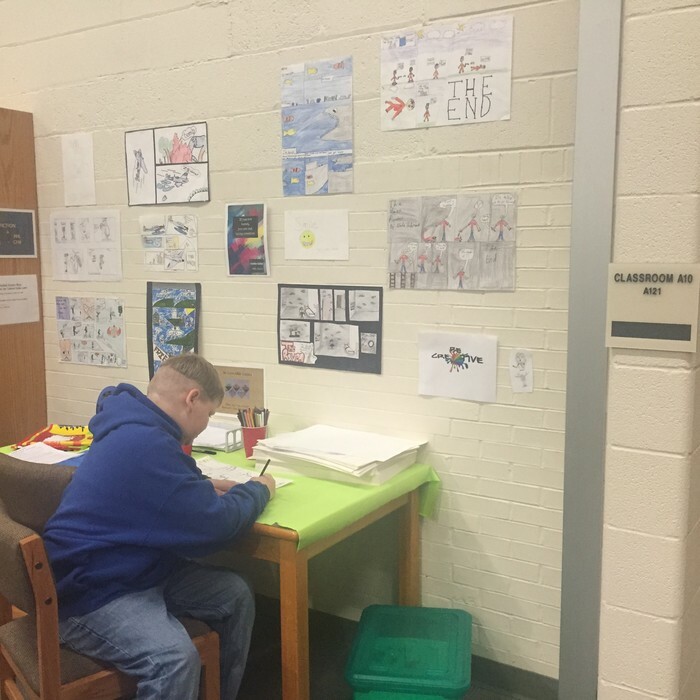 AMS art teacher, Dianna Hale, worked collaboratively with the Library on this project by incorporating common graphic novel design concepts into her instruction. Students attended our Unveiling Reception on April 27, 2015. We had over 80 students participate, as well as a number of parents, MCPS School Board members, and MCEF Board members in attendance. Tyler proudly displays his work. 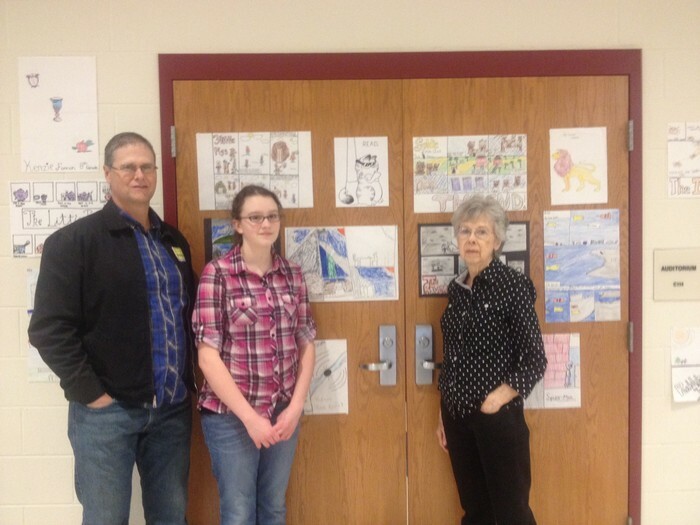 Mac shares her artwork inspired by Poe's "The Raven" with her mom. Miriam shows her artwork to her father and grandmother. Almost a Year Later . . . The Artist Space moved up to the front of the Library, close to the Graphic Novel section. Student artwork is displayed on the wall above. Artwork changes frequently as students continue to contribute. We moved the Graphic Novel section from the back of the Library up to the front. Students helped create a new, eye-catching display. Because of MCEF funding, the AMS Library added almost 50 graphic novels to the collection, a five-fold increase in this collection's size! Current Library funding can now support additions to our growing Graphic Novel collection.